Melbourne High School was erected in Alexandra Avenue, South Yarra in 1927 to designs by the chief architect of the Public Works Department, Edwin Evan Smith and departmental architect, Raymond Clayton Davey. Located on a twelve and a half acre site, known originally as Forrest Hill, it was designed to accommodate about seven hundred boys. The school was the successor of the Model and Training School established in Spring Street in 1854 on the site now occupied by the Royal Australasian College of Surgeons. The Model School became the first state secondary school in 1905, initially known as the Melbourne Continuation School, and renamed Melbourne High School in 1912. The condition of the school building, and the lack of space and facilities, resulted in a search for a new site for the school after World War One. It was not until October 1927 that two schools were formed, Melbourne Boys High School and Melbourne Girls High School, with the senior boys finally moving from Spring Street to the new site in South Yarra that year. 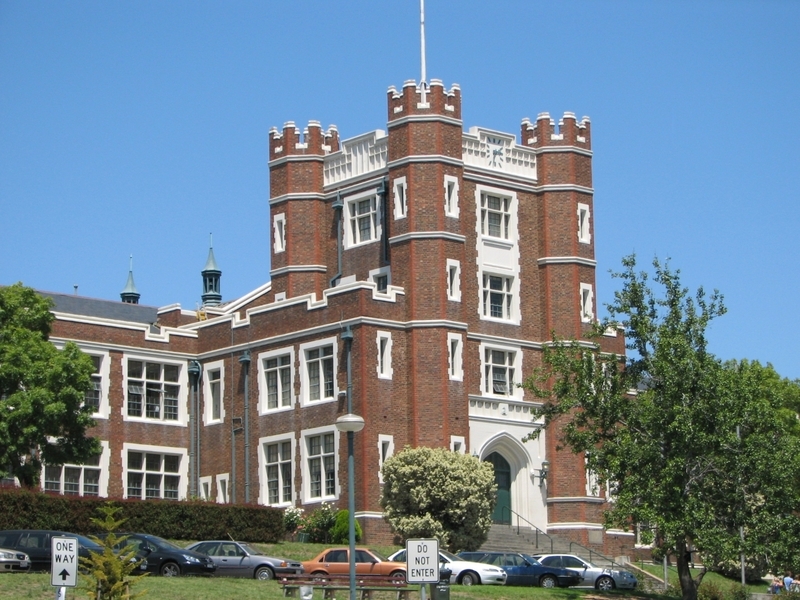 The girls remained at Spring Street and moved to MacRobertson Girls' High School, Albert Park in 1934. Municipalities were eager to attract the new elite state high school facility and a highly prominent site was selected for its construction. It was part of seventeen acres purchased and settled by Charles Forrest in 1840, and included a section of elevated land and adjoining low-lying swamp land. In February 1926, the builder G.S. Gay began construction of the school on the prominent, elevated section of land to the east of the site. The school was officially opened in June 1928. Frank Tate, Director of Education from 1902 to 1928, and Alexander Peacock, Minister of Public Instruction, were both instrumental in the establishment of the school and gargoyles of these two men are placed either side of the front door. The Chief Inspector of Secondary Schools, Peter Martin Hansen, had undertaken a study tour of overseas schools in 1922-23 and was impressed by both the popular Collegiate Gothic style and the incorporation of landscape into the design of schools and universities in the U.S.A. This was to have a profound influence on the design of Melbourne High School, which clearly relates to the work of William B. Ittner, in particular the design of Grover Cleveland High School in St Louis, Missouri (c1915). The main school building is constructed of bricks which were made on site from local clay. Contrasting render is used to highlight openings, crenellations, and panels, and the building is roofed in slate. Designed in the Collegiate Gothic style, the symmetrical front facade contains a central tower entrance bay with octagonal crenellated turrets, and flanking parapetted wings which terminate in protruding end bays. 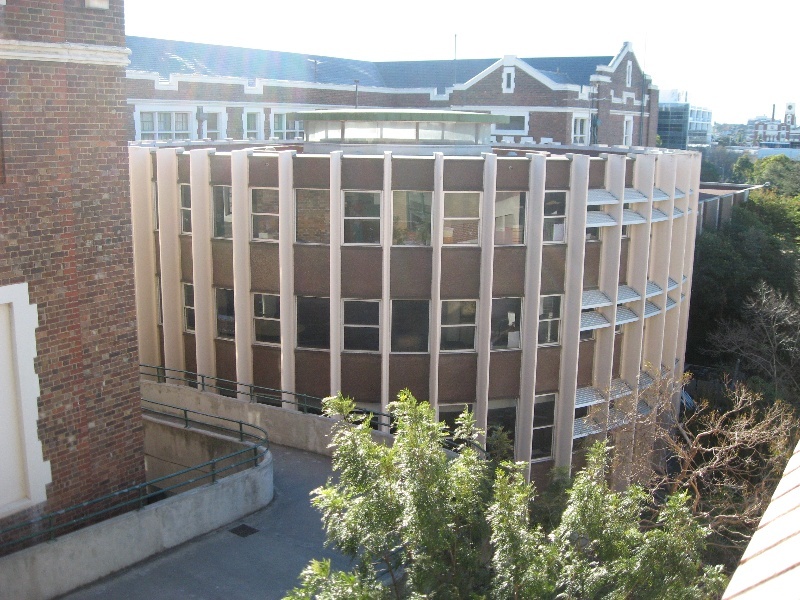 The building contains two and three levels of classrooms which are accessed from a corridor that runs along the main west facade. These classrooms are well lit from glazing on the east and west sides. 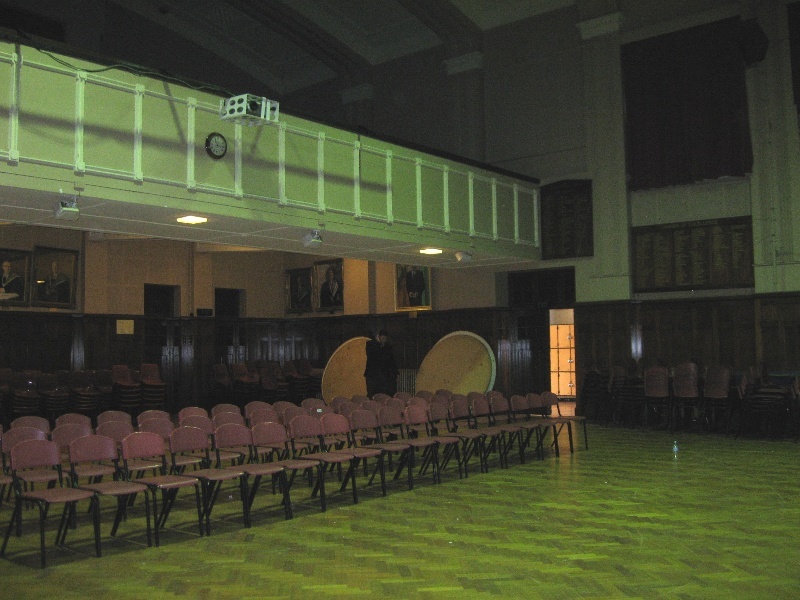 A memorial hall, centrally located to the rear, is accessed from the main entrance hall. 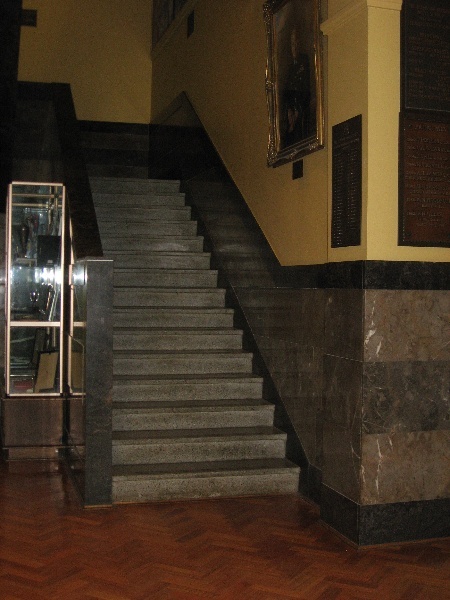 Dados of the main entrance hall and stairs are lined with Buchan marble, stairs are of terrazzo, floors throughout the building are of parquetry and the high dado and entrance doors of the memorial hall are of dark stained timber. In 1956 stained glass windows and murals were installed in the main tower stairwells on the retirement of principal, George Langley. Artist Alan Sumner designed the windows, one honouring Frank Tate and the other a World War Two memorial. 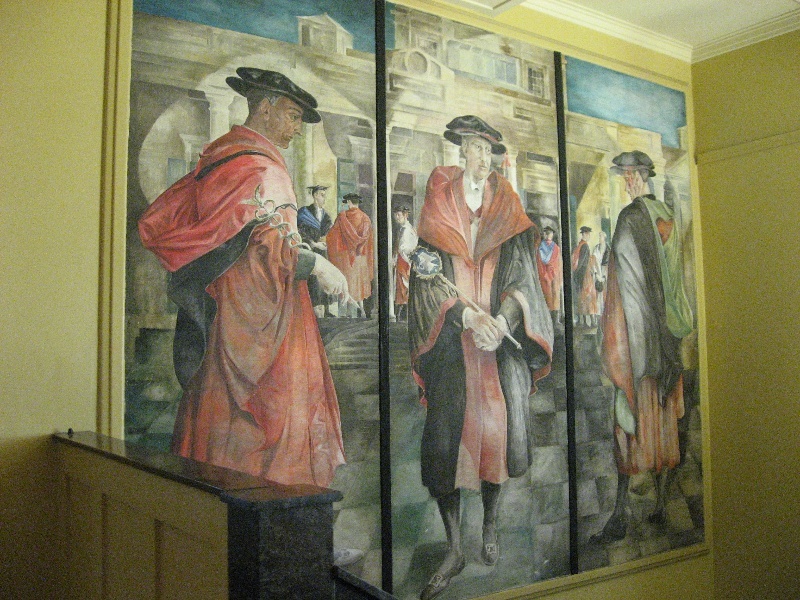 The murals were executed by artist Leonard Annois, one depicting the school in the Melbourne and Victorian setting, and the other depicting the academic honours won by former students. The school building was sited for optimal viewing from Alexander Avenue. The low lying land in the foreground was utilized for a sports oval and the land in between was terraced with steps, paths and roadways. This resulted in uninterrupted views of the impressive building from the north and west. 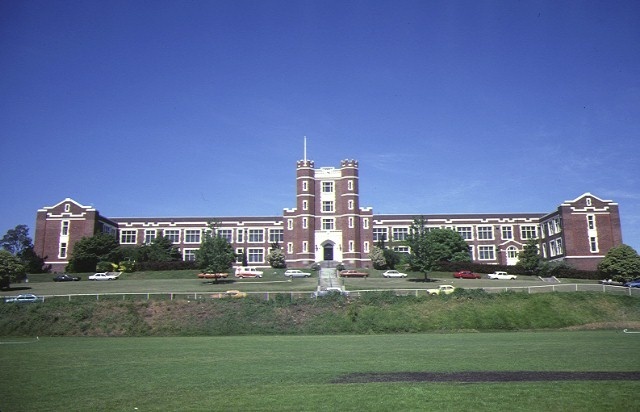 The school has carefully maintained this uninterrupted skyline by limiting the height of all subsequent buildings and locating them to the east and south of the main building. The only remnant of other early buildings on the site is the cadet pavilion located to the north west of the property; however this has been significantly altered. A number of later buildings have been constructed, including a circular library in 1965. The Public Works Department, with chief architect Raymond Davey, would appear to have been responsible for its design. Concealed in a rear courtyard behind the main building, it adopts an innovative three storey form which cantilevers off the ground on five reinforced concrete columns. 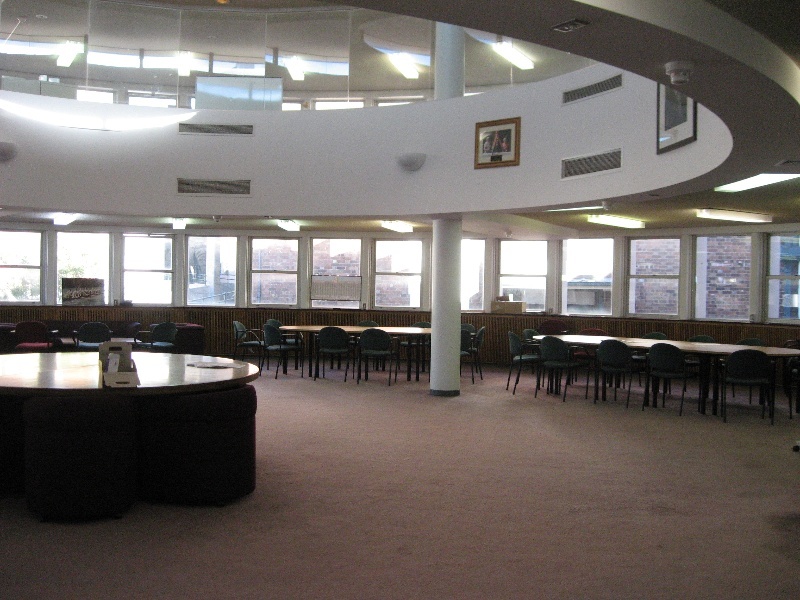 Acoustics and lighting were well considered by a library specialist in the design of the building, with the main intermediate level having an open, double level central core. The lower level was fitted out as a study hall. The library was relocated to a new building in the early 1990s and the building converted to a staff centre. 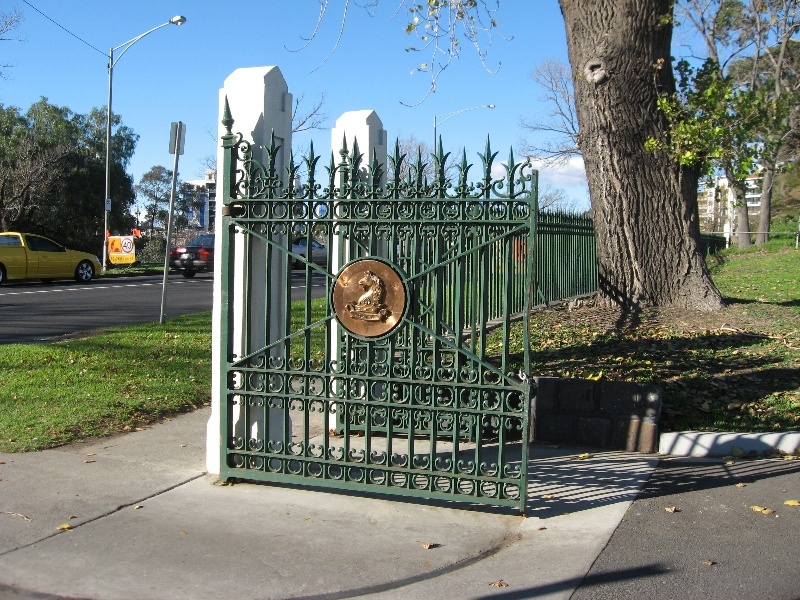 The iron railing perimeter fence and gates at Melbourne High School were relocated from the Royal Exhibition Building and Carlton Gardens site in 1928. A number of deciduous trees were also planted and a number of these remain around the perimeter of the site. 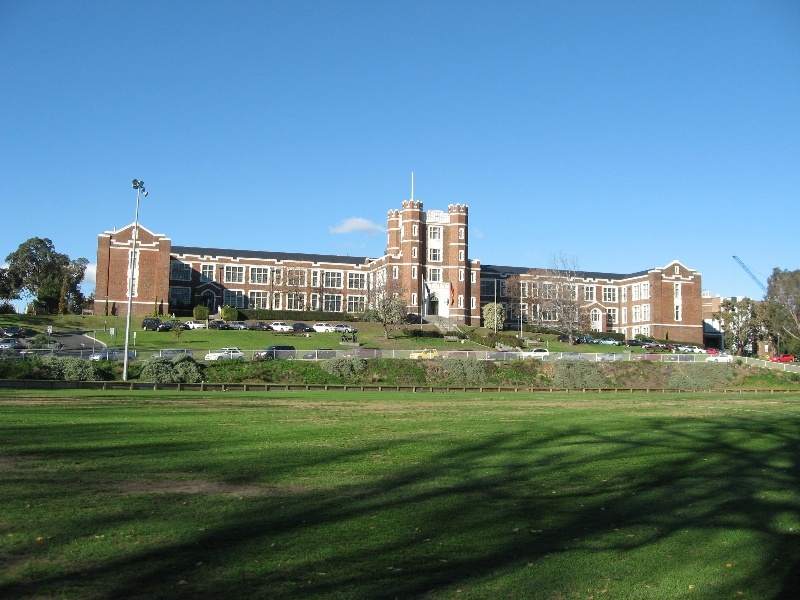 The size and location of the building led to its occupation by the Royal Australian Navy during World War Two, which resulted in the relocation of students to schools in Camberwell and Malvern. Some temporary modifications were made at this time; however the main school building generally remains in a highly intact state. Melbourne High School is of historical, architectural and aesthetic significance to the State of Victoria. Melbourne High School is of historical significance as a demonstration of the efforts of the State education authorities to establish an elite secondary school within the State school system. Melbourne High School is of historical significance due to its associations with such eminent educationalists as the Director of Education, Frank Tate, who was instrumental in the drive for state secondary education in Victoria and in the founding of Melbourne High School. Melbourne High School is of architectural significance as a fine example of Collegiate Gothic architecture. The choice of a style with university and overseas associations indicates the importance accorded to the Melbourne High School, in an effort to emphasise the school's elite role. It is a particularly distinctive example of the work produced by the Public Works Department in the 1920s. Both the exterior and interior retain a high degree of integrity. Melbourne High School is of aesthetic significance for its design within the landscape which ensures prominence and vistas from the north and the west. The recognition of this significance by the school is reflected in the careful siting of all later buildings to avoid any interference with these significant sight lines. 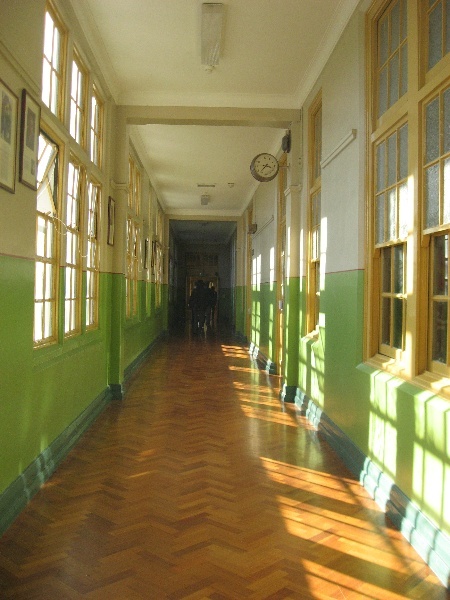 Melbourne High School is of aesthetic significance for its murals and stained glass windows designed by important Victorian artists Leonard Annois and Alan Sumner respectively in 1956. Melbourne High School, Chapel Street, South Yarra. The rationale of Melbourne High School was always to compete with the independent schools in academic and sporting achievement. In the 1950s and 1960 selective entry was via one of six 'feeder' Central schools; Toorak, Malvern, Gardiner, Caulfield North, Gardenvale and Malvern. These schools were encouraged to only forward children who had reached a certain academic standard. The openly elitist attitude of the school within the egalitarian State system was consolidated in the 1980s. The recommmendation in a report to the Labour government in 1982 was that all but one of the Central schools be closed, and that access to MHS be by entrance exam only, with a limited intake of 3% from any one school. Melbourne High School was erected in Alexandra Avenue, South Yarra in 1927 to designs by the chief architect of the Public Works Department, Edwin Evan Smith and deapartmental architect, Raymond Clayton Davey. Located on a twelve and a half acre site, known originally as Forrest Hill, it was designed to accommodate about seven hundred boys.